Three young women (Wascana Centre Seasonal Employees), Carmen Danyluk, Laura Stark and Megan Cross, saw a need for modern play equipment at Wascana Rehab. They took ownership of the idea and formed a not-for-profit community group to raise money and move the plan forward. Stark and Danyluk were seasonal employees of the Wascana Centre and Cross had been a volunteer with the children’s program at Wascana Rehab. The three twentysomething women applied for grants and help co-ordinate a partnership between Regina Qu’Appelle Health Region, Wascana Rehab, Wascana Centre and the Ministry of Government services. Wascana Rehab’s playground gets a lot of use; each year, more than 1,200 children with physical and/or cognitive disabilities use the children’s program at the rehab centre. 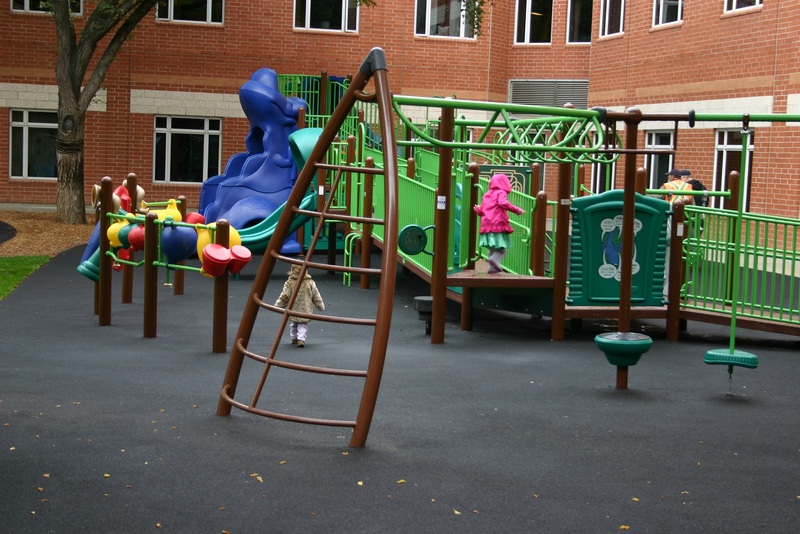 The new playground offers a modern play area that combines therapeutic benefits with fun.